We are a people bound together by our relationship to God and each other. This relationship is rooted in God’s forgiving grace in Jesus Christ. God, first loving us, creates in us a love for one another. Hence, we become part of the body of Christ. Our relationship to the world is one of care, compassion and concern. This leads us to do good works to the Glory of God and the well being of people. The God, who forgives us, commissions us to preach the gospel, teach the wisdom of Jesus and reach out to everyone both in our community and throughout the world. This locality was settled in the early 1800's; several of the pioneers came from a Presbyterian heritage. Families had to travel down the hill, ford the Whitewater River to attend the nearest Presbyterian Church in nearby Harrison, Ohio. However, the river was often too high to cross safely. 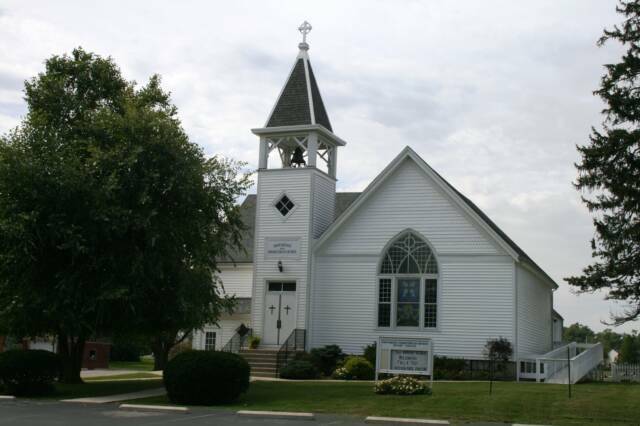 John Gibson, a shopkeeper here in Bright, donated a portion of land from his settlement (named Providence) and thus Providence Presbyterian Church was organized on May 22, 1831 under the Oxford Presbytery. The cemetery, next to the church, was also part of the donated land. Today, Gibson Cemetery remains under the administration of Providence Presbyterian Church. The original log building was replaced with a white frame church in 1841. In 1899, the third and present church was erected. Today the church is part of the Cincinnati Presbytery. We reach out to our neighbors. We are committed to caring for people in our community as well as those around the world. Tri-Township community. We coordinate the community Christmas Giving Tree in conjunction with our local elementary schools. We also support through donations of both time and talent to Matthew 25 that provides for medical supplies, clothing and other non-perishables to third world relief organizations. We reach out to the other side of the world by supporting missions in Central Asia and India.